Everyone wants beautiful and perfect skin. People take various types of actions according to their affordability to acquire and attain beauty of their skin, nails and hair. But in case of any medical problem related to skin, nails or hair, the services of dermatologists are required. Dermatology is the field related to simple skin problems like skin ageing, pimples, infections etc. to serious complications like cancer. There are several cities and countries where setting up a dermatology clinic is beneficial as compared to other places. Dubai is one of the most important and profitable areas that attract dermatology specialists to setup their clinics. It is mainly due to following reasons. Therefore, there are lots of opportunities available for dermatologists from around the world to setup their clinics in Dubai. These opportunities are available in Dubai mainland as well as several free zones present in Dubai. Most famous free zone that provides such health opportunities is DHCC (Dubai Healthcare City). This is an exclusive free zone for investors and professionals related to medical field and provide various benefits and opportunities for such persons. Setting up clinic in Dubai mainland or free zones has different procedures as they have different rules and regulations. 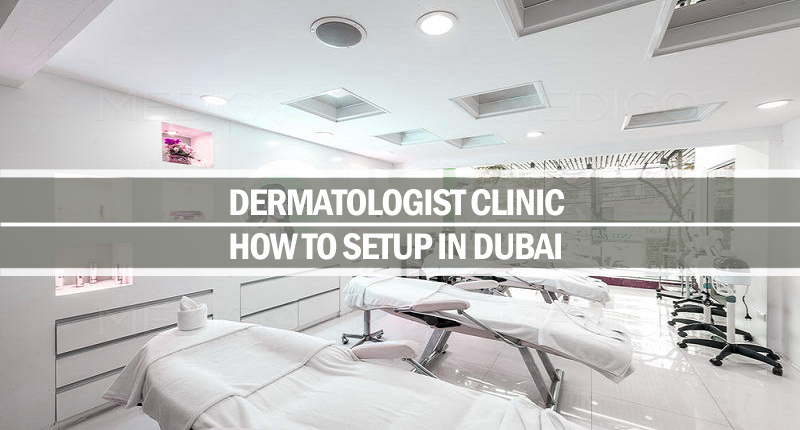 If you are interested in setting up dermatology clinic in Dubai mainland, then you will be required to consult Ministry of Health and few other relative authorities for this purpose. You will submit different documents as mentioned by these authorities. If you want to start a clinic in DHCC or any other Dubai-based free zone, then you will follow the guidelines of these free zones that can be different from those that are required in Dubai mainland. They have slightly different procedure for this purpose and you will be required to submit all the required documents to them also.